One of the most challenging aspects of being in charge is striking that balance between bringing your team together and giving them the autonomy to divide work up amongst themselves. Knowing when to back off is made much easier with the right set of tools, along with an attitude adjustment. We can’t help you with the attitude part, but KS has you covered in the tool department. 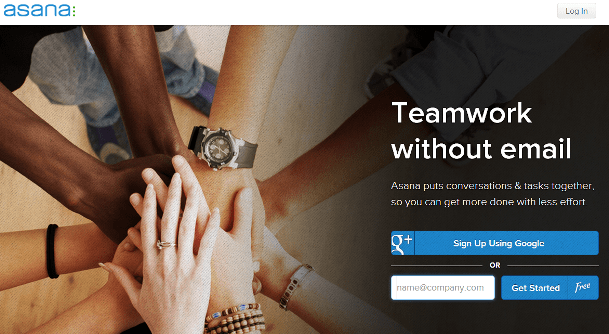 Asana is crazy popular amongst startup founders and after surveying a few users, it’s clear that people gravitate towards the application for reasons that go far beyond the fact that its free version can be used by up to 15 team members. Working as a team is key to the success of any company regardless of its scale. The unfortunate reality is that working as a team takes much more work and organization than those motivational posters in high school led you to believe. Asana makes teamwork more easier by getting people off of email and white boards, and unifying projects, resources, and communication into one hub. One of the most appealing features that Asana has its own inbox, so your normal inbox won’t get clogged with status updates on projects being worked on. 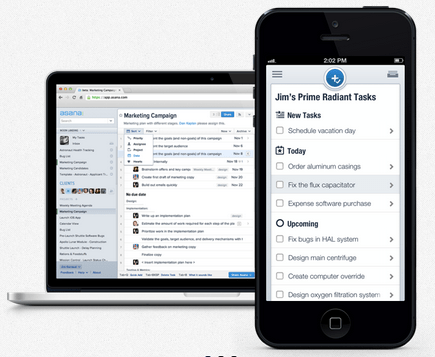 Having Asana’s inbox open all day at work lets users stay on top of tasks without getting overwhelmed. It’s simple to comment on and monitor projects as they develop and get worked on by other people on the team. Asana also has a mobile app so this can also be done when you’re not at your desk. Instant relief from manager’s panic. The other real strength of this platform is the flexibility and customizability it offers users. Its features are applicable to various types of businesses and organizations. The interface is extremely toned down and streamline, this way your tasks, (not the software’s formatting), get attention. Co-founders Dustin Moskovitz and Justin Rosenstein actually created Asana while they were both working at Facebook – as a way of improving productivity. They quickly realized that their app could help other businesses and organizations increase productivity as well. Thus Asana was born. With Asana, people finally get to spend their time working rather than just trying to keep up with their inboxes. Many Asana users report cutting the amount of time they spend on email in half. 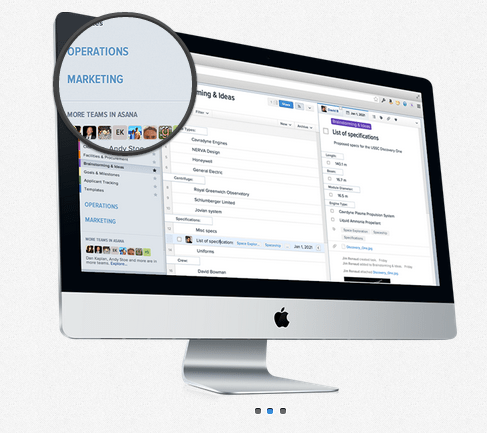 Find out what Asana can do for you at Asana.com.